We have some work to do! Yes, all of us. A survey by Best Friends Animal Society of Kanab, Utah, revealed that 46% of young adults 18 to 24 years old said they would be more likely to purchase a pet from a breeder than adopt one from a shelter or rescue group, according to an article in Veterinary Practice News. 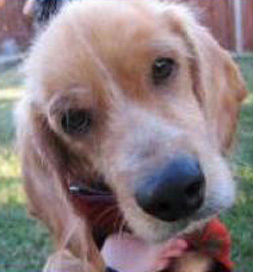 This Cocker Spaniel youngster, McKenzie, is awaiting adoption in Austin, TX. According to the survey responses, they tend to think that shelter animals are less desirable. Not only that, but they don’t think shelter animals are at risk — even though, according to the ASPCA, between 3 million and 4 million shelter pets are euthanized each year in the United States. (70% of cats in shelters are euthanized, as you can see in our infographic) The same percentage of young adults thought that pets would remain in the shelters until they were adopted. Most likely they don’t know that many shelters are open admission, accepting all animals brought to them and simply don’t have the money or space to keep pets indefinitely. 86% of all adults surveyed consider themselves advocates of adoption, according to an article by Business Wire, but sadly only about 60% would first look to adopt rather than purchase a pet from a breeder. Our job is to let people know that shelter pets are not damaged goods. They get put in shelters for all sorts of reasons, often through no faults of their own — and they make great and loving pets, maybe even more loving because of the experiences that brought them there in the first place, like being abandoned or mistreated. Certainly that’s the story we hear from adopters. So what can we do? Simply tell people your own adopted pet’s story, share adoptable pets on your Facebook, Pinterest or Twitter accounts. Declare your pride with our pro-adoption memes. Check out our Helping Pets section for more ideas. It’s a mission you can accomplish. So spread the news. Change some minds. Make a difference. Tell us: What do you do to encourage people to think adoption first?